The Living Building Challenge often is described as the world’s “most rigorous” green building standard. In 2010, the Omega Center for Sustainable Living in Rhinebeck, N.Y., became one of the first two buildings to earn full Living Building Challenge certification. Image via Wikimedia Commons. It almost certainly is. Launched in 2006 by Seattle architect Jason F. McLennan and an organization then called the Cascadia Green Building Council, the LBC currently requires projects to produce more clean water and more clean energy than they use, and to send less waste to the landfill than the amount of salvaged material used in the building. The Challenge also puts a strong emphasis on the local sourcing of healthy building materials, as well as a healthy material supply chain. Some 800 chemicals deemed potentially harmful to people appear on a “red list,” which means they’re barred from being used in products that are part of a Living Building. And it’s the only green building certification system that mandates a commitment to social equity — the often overlooked “leg” ingredient in the “three-legged stool” of sustainable development. Beyond the details, it’s useful to think about LBC for the vision that it presents: Can buildings begin to heal our environment rather than harm it? This dovetails with the broader movement among building professionals to search for ways to design and construct regenerative projects. That movement ranges from Architecture 2030 and the push for net zero energy buildings in response to climate change, to efforts intended to address regional water crises and the campaigns against harmful chemicals. 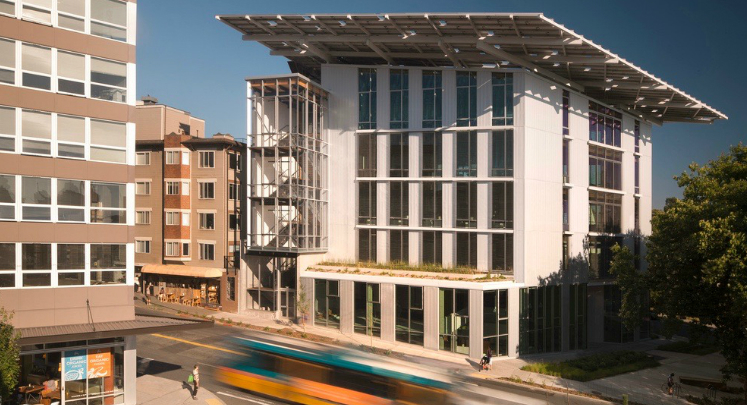 When it was completed in 2013, the Bullitt Center in Seattle was recognized as “the world’s greenest commercial building.” In 2014, it earned LBC cerrification. Image via Wikimedia Commons. The Kendeda Fund was an early supporter of the Living Building Challenge. Along with other grant makers, Kendeda helped get the standard off the ground when it was little more than the dream of an exceptionally strong-willed young architect. LBC Full Certification: To qualify, a project must meet each of seven broad goals, called “petals,” which consist of a total of 20 narrower requirements, called “imperatives.” Unlike other LEED and many other green certification systems, LBC employs checklists only minimally; instead it sets firm goals and challenges the owner and the project team to meet them creatively. Another difference from other programs: to qualify for certification building must actually demonstrate that it’s meeting the performance standards for a full year of occupancy. Petal Certification: Certain projects may run into complications attaining all the Petals. In this case, they may opt to obtain three to six of the petals without attaining full certification. 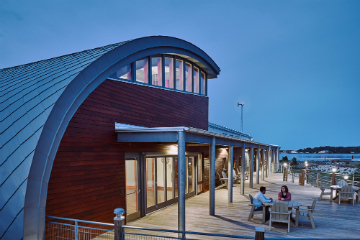 The Brock Environmental Center in Virginia Beach, Va., was certified in 2016. Its received multiple awards for its distinctive design and impressive energy performance. images by Prakash Patel/courtesy SmithGroup JJR. 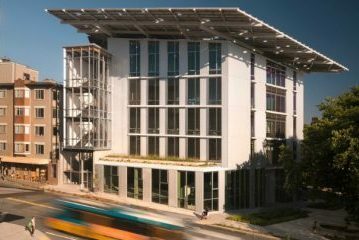 Zero Energy: In early 2017, ILFI recently partnered with the New Buildings Institute in Portland, Ore., to revamp its Net Zero Energy certification program. To qualify, a building must produce at least as much clean energy as all the energy it uses over the course of a full year. 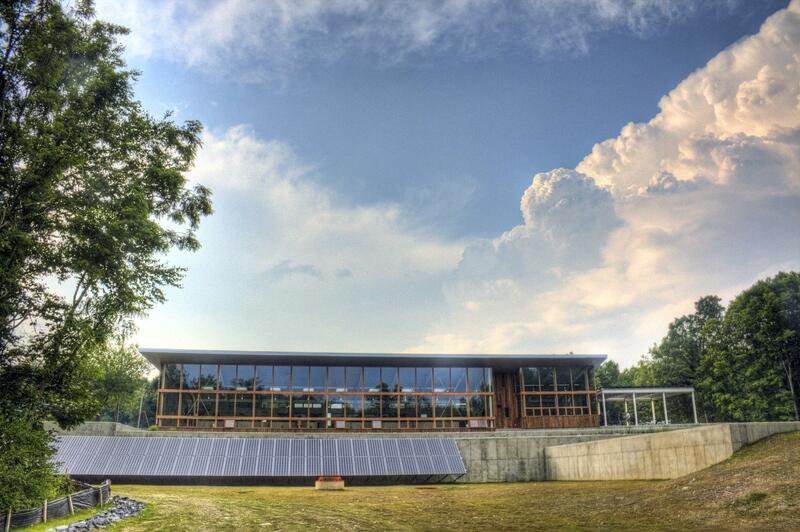 It’s the only certification program that targets this net zero energy for buildings. Living Product Challenge: LPC was designed to encourage the development of regenerative products, much as LBC is intended to encourage the construction of regenerative buildings. It’s structured around the same seven petals as LBC but many of the imperatives are different. As with LPC, products can go for full certification or petal certification. As of June 2017, the relatively new program had certified eight products — which included building materials, furnishings and one consumer product — a skateboard. Living Community Challenge: LCC is a new program that addresses regenerative development issues in a wide variety of communities, including neighborhoods, business districts, rural areas and even entire cities. Like the Living Product Challenge, its modeled on the petals and imperatives of the Living Building Challenge. While some communities have registered for the Living Community Challenge, as of June 2017 none had yet been certified.